Description: From Brian Tighe comes a distinctive take on his classic sculpted flipper. 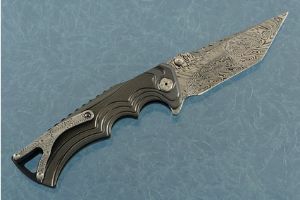 This Tighe Fighter features 3D machined zirconium scales and a stainless damascus blade. 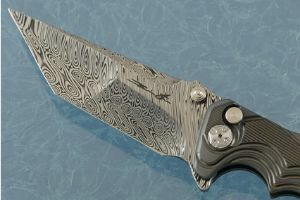 The blade was made from stainless damascus forged by Damasteel in Sweden. 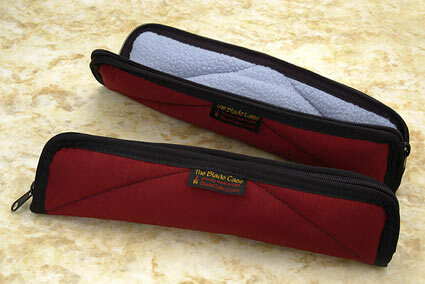 A nightmare grind shows Tighe's tremendous skill at the grinder. 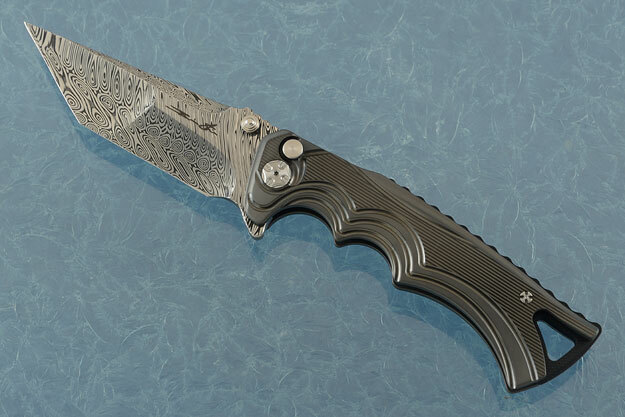 Zirconium scales are precision 3D machined for a sure, comfortable grip. Zirconium is a transitional metal that is primarily mined in South Africa and Australia. 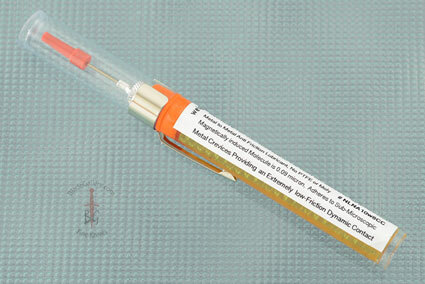 It is highly resistant to corrosion and scuffing. 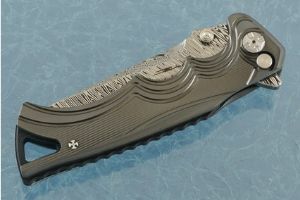 The scales surround a black G-10 back spacer. 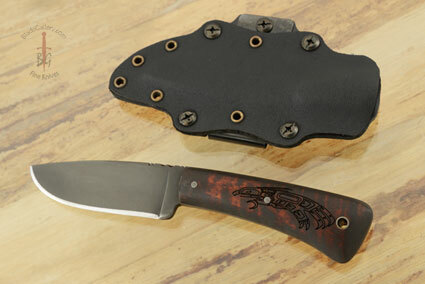 The deep carry stainless damascus pocket clip is mounted for tip-up, right-handed carry. 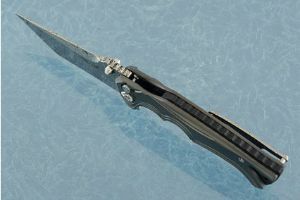 Dual titanium thumb studs make for easy right or left handed opening -- though you'll likely open the knife using the flipper mechanism. 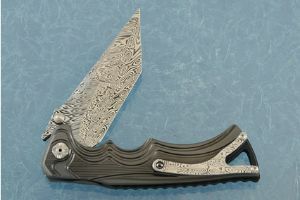 The blade is closed with a right handed button lock. 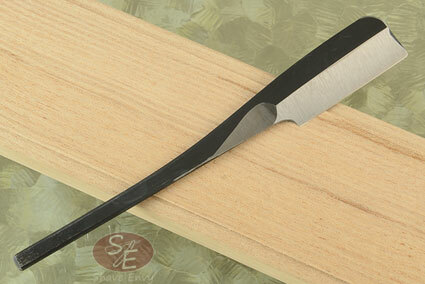 Piercing at the back of the handle allows for the easy addition of a lanyard.